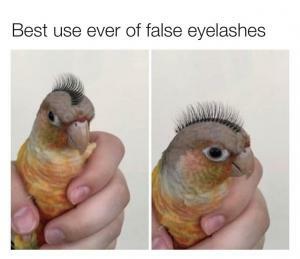 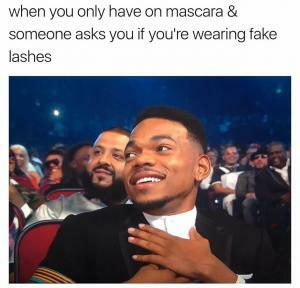 Fake eyelashes are almost a must in your makeup case. 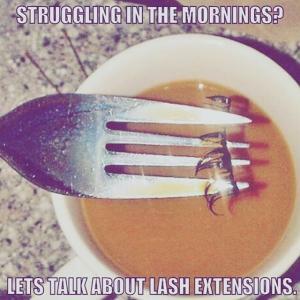 Just like with anything the quality ranges from cheap to costing more than rent. 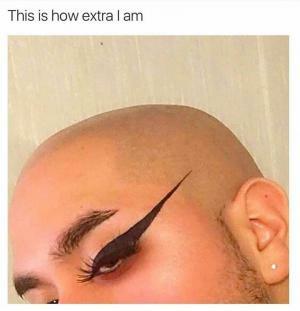 Regardless of which quality some people are able to afford not everyone applies them correctly so they end up looking like you have spiders crawling down your face. 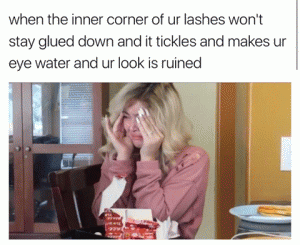 Sometimes you use too much glue and you see the white glue crusted up from miles away. 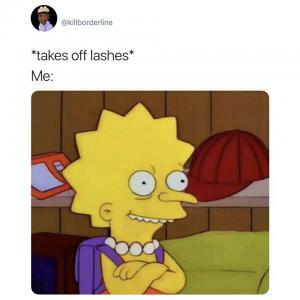 For the girls that don’t have eyelashes to begin with … let’s not even start in on how they look when they take the fake ones off. 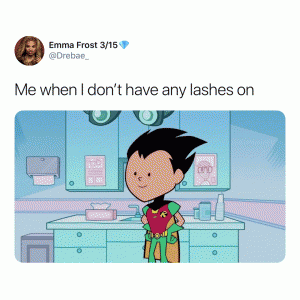 We found the funniest eyelash jokes on the Internet from all over the Internet to share here with you and we are continually adding to the collection. 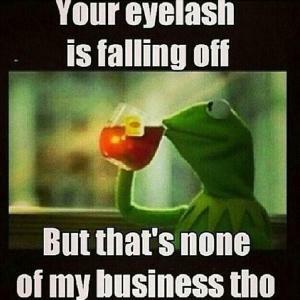 While you’re here enjoy some of our other jokes, rate your favorites and share with your friends on social media. 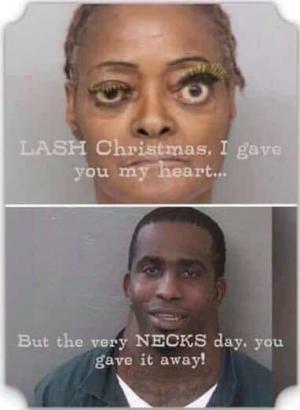 But the very NECKS day, you gave it away! 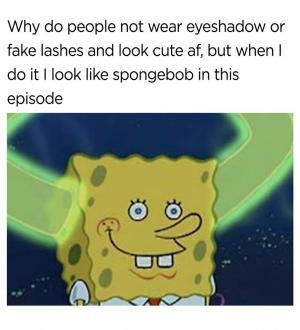 Why do people not wear eye shadow or fake lashes and look cute af, but when I do it I look like Spongebob in this episode. 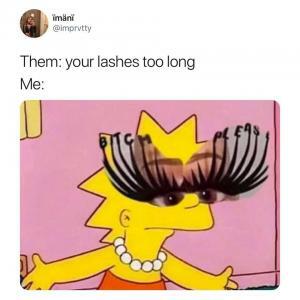 Lets talk about lash extensions. 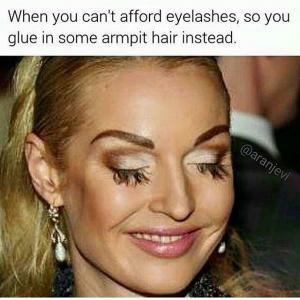 When you can't afford eyelashes, so you glue in some armpit hair instead. 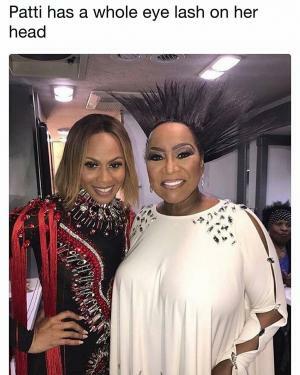 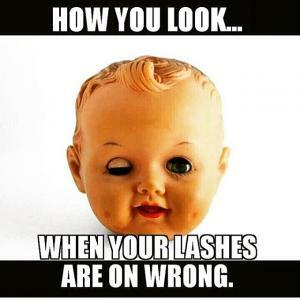 When your lashes are on wrong.